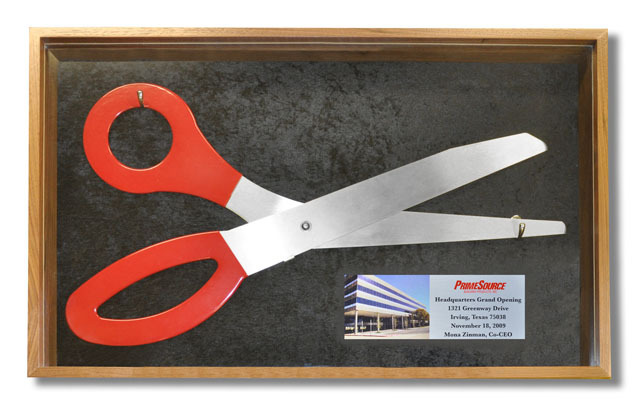 You can now proudly display your Custom Walnut Display case to hold your 2 foot or 3 foot large ceremonial scissors. 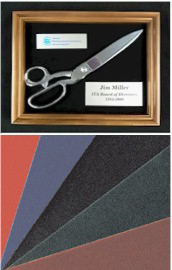 - 10" x 13" Walnut Shadow Box with felt background. 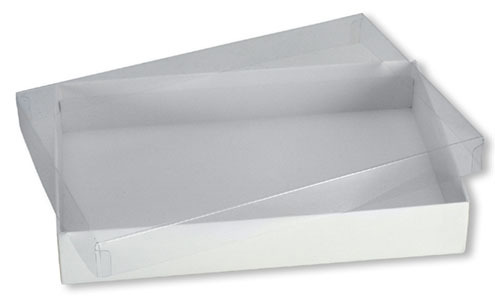 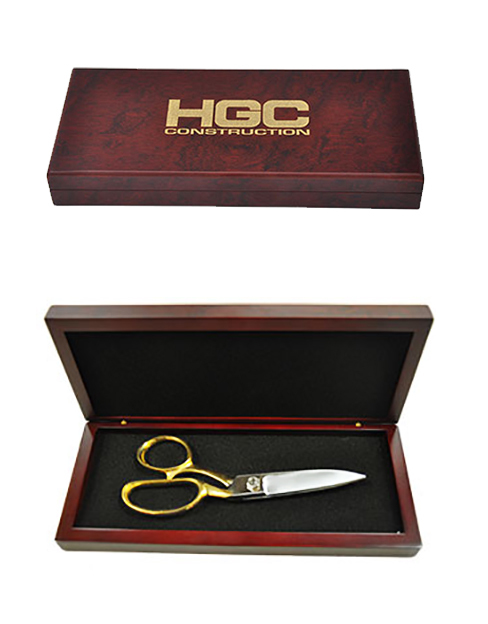 This 8 inch rosewood ceremonial scissors display box will give your ribbon cutting an extra touch of class!